Now showing is the latest trailer for Infernal: Hell's Vengeance, which is coming to the Xbox 360 next Tuesday, June 30th. Below is the latest trailer for the upcoming Mega Man Title, Mega Man Star Force 3, which is set to release on the Nintendo DS next Tuesday, June 30th. Below is the latest trailer for Sudoku Ball Detective, for the Nintendo Wii and DS, both of which are being released on July 14th. 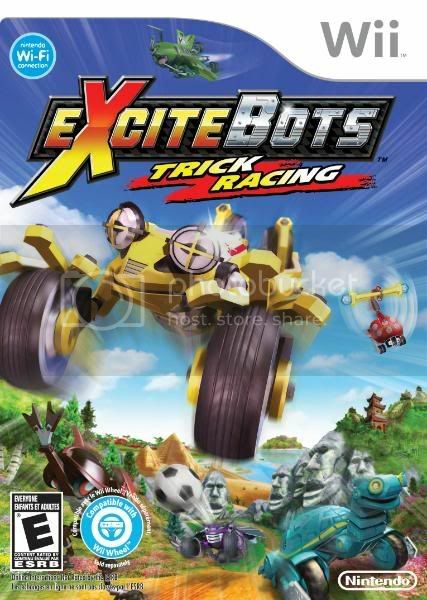 Excitebots: Trick Racing is a “sequel” to the Wii's launch title Excite Truck, and mixes many of the same basic mechanics with lots of new ones. While this title still focuses on fast racing and big jumps, there are an assortment of new tricks and activities you can perform via numerous different types of objects. To find out about these additions, how the online plays, and what the hell is up with those bug-karts, read on. 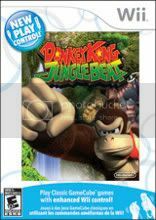 Donkey Kong: Jungle Beat is the latest title in the New Play Control series for the Nintendo Wii, bringing a Gamecube classic back for a new generation of gamers, and numerous other people who didn't get it with its original release. How do the new controls and additions fair? Well you'll just have to read on to find out. Again, I am just now getting time to upload and show off all of these pictures. Enjoy. Hey everybody, I’ve had a busy week, but finally have the time to sit down and upload all of those pictures I had taken throughout the week. First, I’m going to start with the ones I got from the Nintendo Conference, so check after the jump for all the goodness. The last thing on my E3 agenda was to have a little sit down with Bill Roper, Design Director of Cryptic Studio's upcoming game, Champions Online. He invited us special people to have a nice lunch at the Palm Restaurant while someone demoed the game and he took us through the fundamentals. If you're unfamiliar with the brand, it goes way back to the pencil game created in 1981, and it takes a lot from it. For instance, customization is a HUGE part of the game, both then and now. 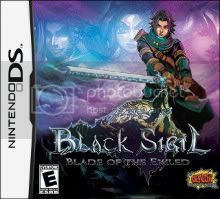 What he and the developers wanted to do was to allow gamers to create their very own, unique heroes. For instance, in World of Warcraft, there are a few classes and then some armor you can put on. However, when you get to the highest level, everyone looks the same because they're wearing the best armor, etc. However, with Champions Online, you can create your own unique look, and keep it that way throughout the game, while still upgrading weapons and things of that nature. Another thing that allows you to build the exact character you want, is the fact that there are no classes and no restrictions on which powersets you can use. For instance, if you want to create this badass fire character, but then later decide you want to throw in some ice or lightning attacks or something, then you can. There are 18 of these powersets, so as far as moves go, it is fairly extensive. Another game shown behind closed doors was The Saboteur from EA and Pandemic. This game is set in the 1930's, in a Nazi-occupied France. You play as this race-car driving man bent on ridding your country of the Nazis. The story is very lightly based on the Bugatti racing team. Anyways, you become an agent for this underground group and you will slowly rid the Nazis of several areas around the country. The entire world is open and it's all streaming, so there are no loading screens or separate levels or anything like that. Because it's open world, like GTA, you can do whatever you want whenever you want, but there are missions to guide you along. Another way to know where you should go, is this feature called “Will to Fight”. With this, areas you have freed from the Nazis are presented in full color, while those that you have not are in black and white, with certain colors highlighted, like the Nazis red armbands, making for a very distinct vibe.